Kelp and seafood are the most reliable natural sources of iodine because certain vegetables which contain iodine also contain substances which interfere with its absorption by the body. Although a normal diet is believed to contribute 150-170μg of iodine daily, the prevalence of iodine deficiency throughout the world leads us to believe that many people are not getting this amount without recourse to supplementation. kelp contains 3 species of wild bladderwrack (a type of seaweed): Ascophphyllum nodosum, pelvetia canalicilata and focus spiralis. Those that consume large portions of foods such as turnips or cabbage which will prevent absorption or use of iodine by the body. People who may have an under-active thyroid gland. People in areas where poor soil results in lack of iodine. 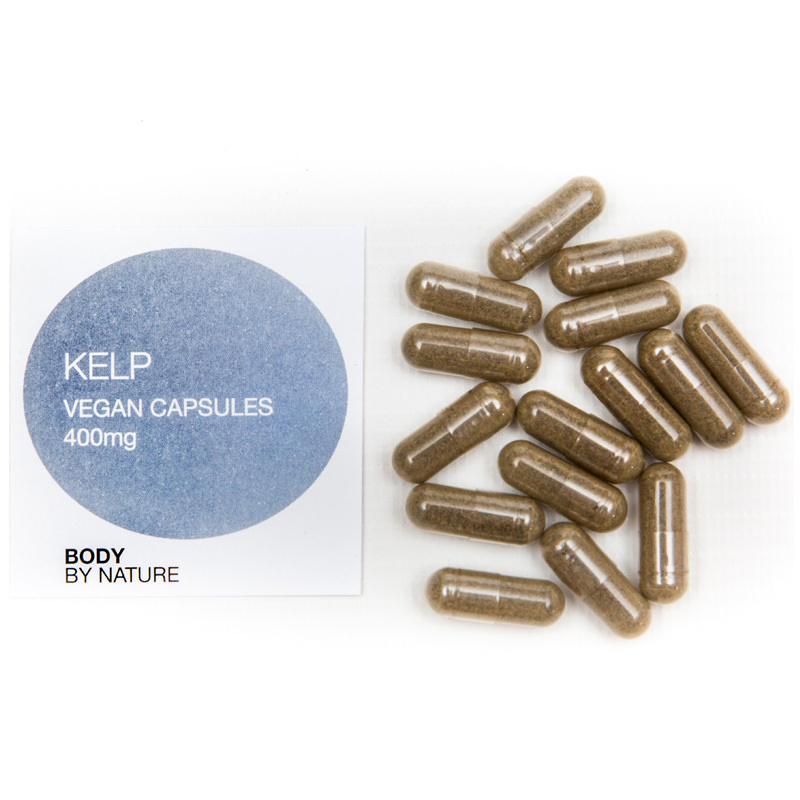 Ingredients:Kelp (Ascophyllum nodosum), capsule shell (hydroxypropylmethylcellulose). Suggested Intake: 1-2 Capsules daily, or take as directed by a practitioner. Contraindications:This product should not be taken by pregnant or lactating women. Non-Active Ingredients:Vegetable cellulose (capsule shell), potato starch, ascorbic acid.